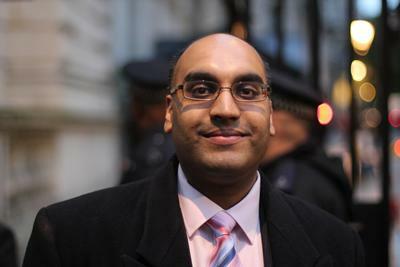 The University of Southampton has named leading business consultant Amarjit Singh as its new Special Advisor for India. Amarjit is currently the Chief Executive Officer of the advisory consultancy, the India Business Group, and is an alumnus of the University’s Law School. He is an established expert in Indian business affairs, and ranked as one of the top 100 most influential Sikhs in the world. In this newly created role, Amarjit will work closely with the University’s leadership team and International Office to support the University with its India development and engagement strategy – drawing on his expertise, network and knowledge of the country. He will assist with the forging of external partnerships and new collaborations with academic and industry organisations based in India. The University of Southampton is ranked amongst the top one per cent of all universities globally and is also rated as one of Europe’s most entrepreneurial universities. Southampton has an extensive network of alumni in over 130 countries and relationships with other institutions and global businesses including, Airbus, Rolls Royce, Microsoft and Lloyds Register. Professor Mark Spearing, Pro Vice-Chancellor, International at the University of Southampton, said: "As an alumnus of our University, Amarjit has been a long-standing advocate and supporter. I am delighted to welcome Amarjit into this new role as a Special Advisor and look forward to benefitting from his extensive knowledge.